According to statistics, women own more than 30 percent of all companies in the country. It’s also worth mentioning that the growth of women-owned firms has outpaced the growth of other types, having increased by just about 47 percent between 1997 and 2014. So, what can you do to become one of these successful women business owners? Are you exploring all your options for getting started and becoming a successful entrepreneur? If you’re looking for help to start your business venture, check out these resources. Consider a Business Accelerator to get your company up and running. A growing segment of the entrepreneurial community, business accelerators offer start-ups many benefits. For most business owners the attraction comes from the access to mentoring and guidance from a group of experts that accelerators can provide. Not to mention the access to investors. Many of the programs offer a clear path to strategic business success. Programs typically include educational sessions and interactive monthly roundtables held by small business experts so that business owners get to brainstorm real business challenges and scenarios. One of the latest trends is state funded accelerators for women-owned businesses. 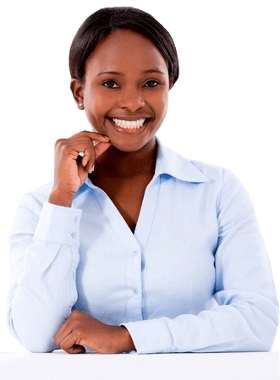 There are several alternatives to business accelerator programs that women business owners can use. Women’s Business Centers represent a national network of nearly 100 educational centers throughout the United States, which are designed to assist women in starting and growing small businesses. Women’s Business Centers provide women entrepreneurs with business counseling programs that can help them start and grow successful businesses. They also offer guidance and training on a variety of topics, including business planning and management, marketing, and loan advice. Industry data has shown that small businesses that utilize programs provided by either government or private organizations have significantly better survival rates than those that don’t receive similar support. Given the tough times entrepreneurs are facing with the current economic climate, anyone considering starting a new business should be open to using any and all resources available to them.